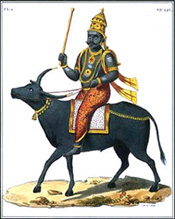 South direction is the direction governed by Lord of death- Yama, and therefore some inauspiciousness is linked with this direction which certainly makes it unfavourable direction. Although South direction can yield good result akin to North direction, but one has to be cautious while constructing specific place in South as Vastu rules out some particular sections in this direction. South entrance according to Vastu is inauspicious but is not bad as no living place or other place can be perfect or Vastu compliant. While only South entrance is not considered inauspicious as such, but it is the entire orientation of the plot or house which decides factors of auspiciousness in house. Although there are some repercussions of South entrance but if this direction is utilized efficiently and effectively then nothing can cease to bring prosperity, success, and riches in living place. Vastu lays down some norms and set of rules pertaining to every direction which is necessary to follow. One should not prejudice regarding South direction plot on the raged rumours that South direction plots are not good and bring downfall of occupant. Every direction is suitable, provided if it is constructed in the ideal & effective manner. There are specifically some areas or section which is prohibited in South direction according to Vastu, for instance Septic tank, kid’s room, living room and guest room. To make most out of South direction plots, it advisable to follow Vastu instructions so that the negative effects get nullify or balanced with energies with placement of proper room.